Housekeepers, I believe that reading is quite the most Autumnal of pleasures. All of a sudden there seems to be time. Something so very much amiss during the chaos of those Summer evenings. There is time and as the nights draw in, there is just the right mood for getting oh so terribly introspective and losing yourself in a pile of good books. First up… My Kitchen Year by Ruth Reichl. As the former editor of Gourmet magazine, Ruth is a women who knows food and in My Kitchen Year she describes, with recipes, how she used food to heal her heart after Gourmet closed and she had to re-imagine her future and come to terms with re-defining her very self. Next… The Year of Cozy by Adrianna Adarme because I am Alison May and there wasn’t a cats in hell chance of me swerving a book with COZY in the title now was there? It’s about cosy food and cozy crafts and cozy little to-dos and we need it in our lives right now! 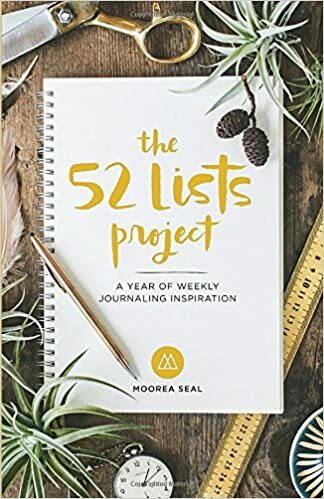 Then… The 52 Lists Project. Now I wouldn’t normally throw a journal in to the midst of one of my reading lists, but this one is special and it will help you go deeeeeep. You want to go deep don’t you? Then now is just the right time to pick this journal up and use it to list you way to a more authentic you.